Resection is the medical term for surgically removing part or all of a tissue, structure, or organ. A resection may be performed for a wide variety of reasons. A resection may remove a tissue that is known to be cancerous or diseased, and the surgery may treat or cure a disease process. 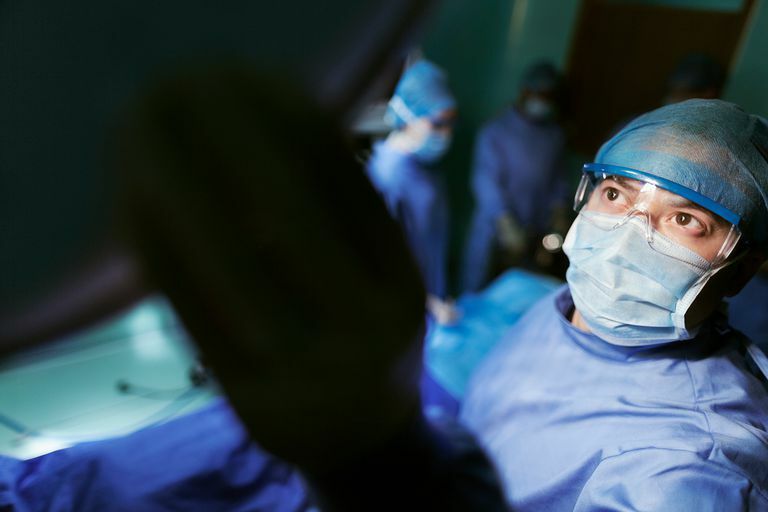 Depending on the tissue or organ, resection surgery may be an open surgery or may be done with a scope through a small incision or a natural entry point, such as the urethra or cervix. One very common type of resection is a small bowel resection, a procedure where one or more segment of the small intestine is removed. For people who are experiencing colon problems in a specific area of the intestine, removing that area may make it possible for the colon to function normally after the healing process is complete. The surgery can be done through an open incision or through small incisions using a laparoscope. For another patient, they may be diagnosed with cancer in their colon. Treatment for cancer may include the surgical removal of the cancerous area and a margin of surrounding tissue, a colectomy. This may be done as a treatment or may be a cure for the problem. Resections can be performed on areas of the body other than the digestive tract, these two types of surgeries are just examples. If there was a diseased area of the liver, a partial liver resection could be done to remove the bad tissue and leave the good and healthy tissue of the liver in place. A lung resection would remove an area of diseased lung tissue. Mastectomy: Removal of a breast for breast cancer. Prostatectomy: Removal of the prostate gland in cases of prostate cancer. The TURP surgery is trans-urethral resection of the prostate. Gastrectomy: Removal of the stomach, either full or partial, can be done for stomach cancer, ulcers, or bleeding. Lung Resection: A pneumonectomy is the removal of an entire lung. A lobectomy is the removal of one lobe of a lung. A sleeve lobectomy removes a lung and part of the bronchus and reconnects the remaining segment. A wedge resection removes only a slice containing a tumor and surrounding healthy tissue. A segment resection removes a larger segment but not a whole lobe. Adrenalectomy: Removal of one or both adrenal glands, located on top of the kidney. It may be done for adrenal cancer or syndromes such as Cushing's syndrome where too much hormone is being produced. Appendectomy: Removal of this pouch of the large intestine due to infection, bleeding, or inflammation. Oophorectomy: Removal of one or both ovaries for cancer, ovarian cyst, chronic pelvic pain, or pelvic inflammatory disease. Thyroidectomy: Removal of all of the thyroid gland or one lobe of an overactive thyroid, goiter, nodules, or thyroid cancer. Hysterectomy: Removal of the uterus, sometimes including other structures. It is done for cancer, fibroids, chronic pelvic pain, and heavy bleeding. In the ICD-10-PCS medical coding system, an excision indicates a procedure where a portion of the body is cut out or cut off. A resection is when an entire body part is cut out or cut off. But this doesn't have to be an entire organ or tissue, as often they are coded as a portion of an organ. For example, the right and left lobes of the liver each have their own code. Therefore, removal of one lobe is a resection rather than an excision. In the case of medical coding, a wedge resection of the lung is an excision, not a resection.